A few hours ago we landed in Basel airport. We are going to play football, aren’t we? 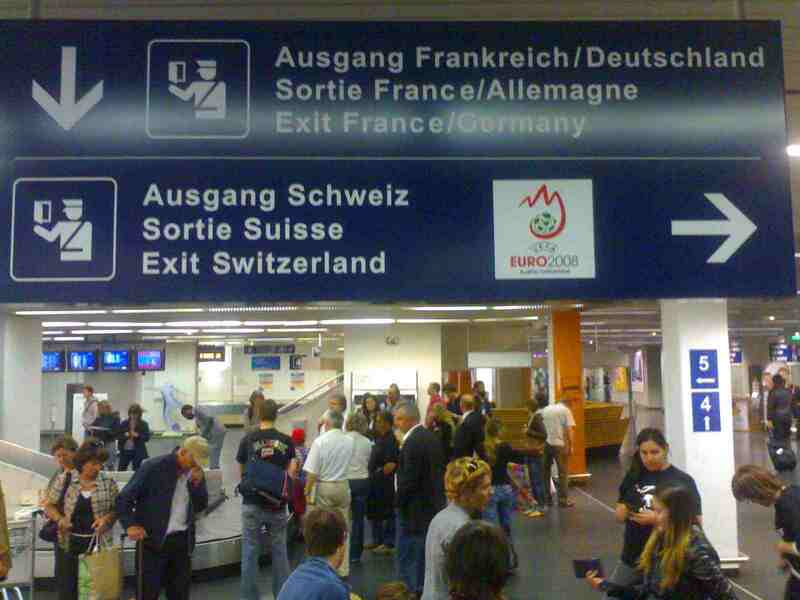 The airport turned out to be run by three countries: it is an aiport of French Mulhouse, German Freiburg and Swiss Basel. It is bloody cold here! I checked weather forecast right before the flight: according to CNN it is +13 Celsius, rain, according to Russian Hydrometeorological Centre +15, cloudy, no rain. What an opening are we going to see tomorrow? I didn’t take warm clothes with me! What about all these tourists here?